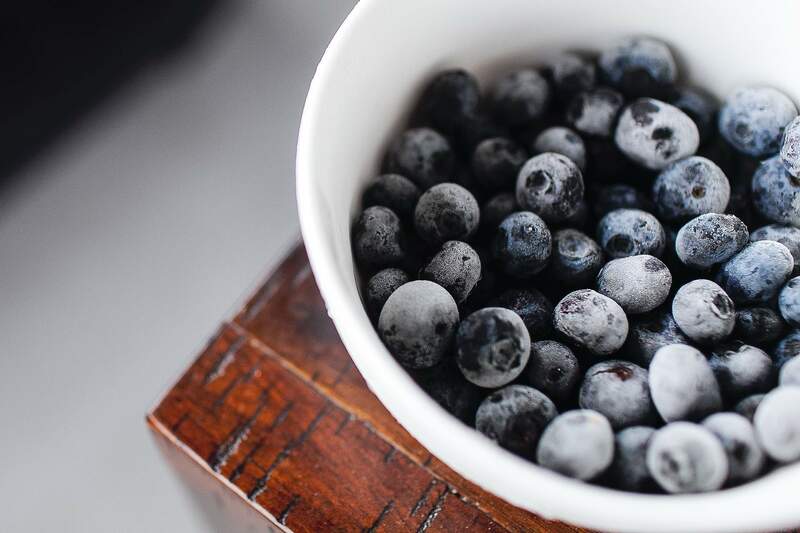 BUCHI is a leading worldwide supplier in analytical solutions for food quality control such as near infrared spectroscopy (NIRS), extraction, and Kjeldahl. BUCHI is also the worldwide leader of sample preparation technologies like evaporation, spray drying, encapsulation and flash chromatography. Whether in the laboratory or directly in production, the fast determination of moisture, fat content, protein, sugar, fibre, ash, pH, salt up to amino acids content, and saturated / unsaturated fatty acids profile is necessary to optimise the cost of food production operations. BUCHI NIRSolutions® are conceived as the best answer to optimise food productions such as meat, pet food, grain, cereals, bakery products like bread, cakes and biscuits, milk and dairy products like cheese, yogurt and creams, edible oils and beverages. 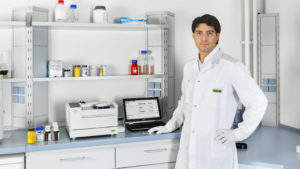 The customisation of a NIR system to monitor a specific food or beverage production chain atline or online is a matter of experience that includes spectroscopy know-how as well as the reference analytics in the laboratory. 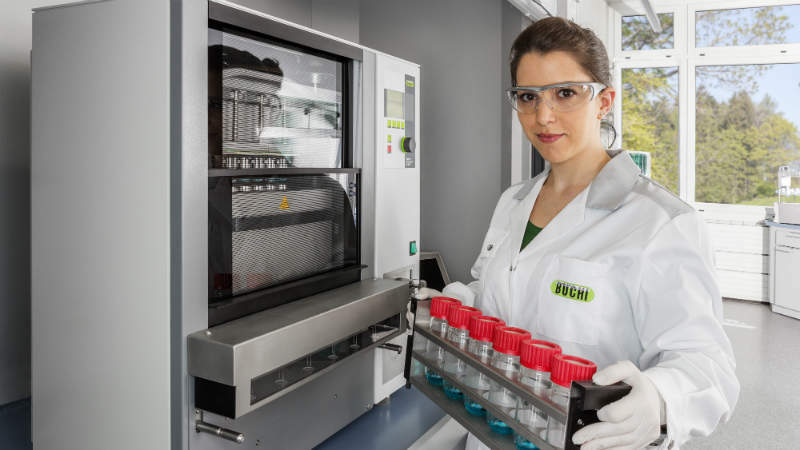 With more than 70 years of practical expertise in food analytics and safety control like nitrogen determination by Kjeldahl, AOAC approved, or fat and contaminants extraction by Soxhlet, BUCHI is a complete partner to support daily business. NIRSolutions offer – on the basis of a careful analysis of individual requirements – analytical solutions for the entire production chain, from raw materials reception to product release. At the heart of this is the NIRS technology: state-of-the-art Fourier Transform FT-NIR polarisation spectrometers. All BUCHI NIR-spectrometers are supported by a twin-lamp safeguard for uninterrupted operation. Easy operation for a lean workflow: the NIRWare Operator is the easy to use and ergonomic software interface which can be tailored to your specific needs. Inputs are collected easily and the analysis results are displayed in an optimal way. Every BUCHI software package and all BUCHI systems fully comply with GAMP 4 requirements and fulfil the provisions of FDA 21 CFR Part 11. BUCHI offers specialised support for compliance with all regulatory requirements and system qualification. The outstanding feature of the BUCHI NIRFlex N-500 modular FT-NIR spectrometer is its excellent flexibility in NIRS. Easily exchangeable measuring cells, excellent reliability and securely saved data are the most outstanding features of this solution for quality control (QC) as well as research and development (R&D) laboratories. Milk powders, cheese creams, meat sausages, and cereals like rice or wheat can be easily measured from large quantities to single seed. The BUCHI NIRMaster™ determines the relevant data of any food production efficiently within a few seconds. Higher productivity as well as cost optimisation are some side-effects of implementing an effective NIR spectrometer in your production. The NIRMaster is the first production-dedicated FT-NIR standalone spectrometer, which brings to harsher environments the unmatched measurement accuracy of Fourier Transform technology, a hygienic easy-clean design, and a robust dust and waterproof housing (IP54 or IP65). The NIRFlex N-500 fibre optic SMA cell will move your quality control close to production. Process analytical technology (PAT) allows continuous measurements to control production online and get results automatically in real time. The NIRFlex fibre optic SMA can be connected via glass fibre to probes monitoring production pipelines. A detector with autogain ensures adaption to all kinds of sample to achieve the best performance. It is ideal for the production of solids like meat mixtures, milk powders or creams like homogenised baby food in reflectance mode or liquid like beverages and spirits in transmittance mode. The associated measurement options will be matched to your specific needs, as well as the relevant NIRWare® software modules and the NIRCal® chemometric software known for its effective autocalibrating wizard. Often laboratory information management systems (LIMS) are used to fulfil the needs of quality assurance (QA) and QC in a company. Using the NIRWare LIMS software interface the data quality with built-in QC and QA criteria can be controlled in real time. For managing a network of NIR spectrometers at different locations, BUCHI NIRAnywhere software helps to centralise all relevant data (spectra applications, calibrations, security settings, hardware tests, samples, references and reports). Wherever your operations are located you will know the condition of your production process. Where can NIRSolutions help you? Quality in your hands is our major focus: our network of global competence centres and experts are an integral part of our after-sales support service. Our experienced application chemists will gladly assist you wherever you might need help – from feasibility studies at the outset and application support during implementation, to qualification, training and continuing education, after-sales service and maintenance support during routine operations. The analysis of ingredients and intermediates of food, beverage and feed products assures specifications and the good quality of final products. BUCHI NIR-Online® Solutions enables enhanced productivity and higher quality for maximum gross profit margins. 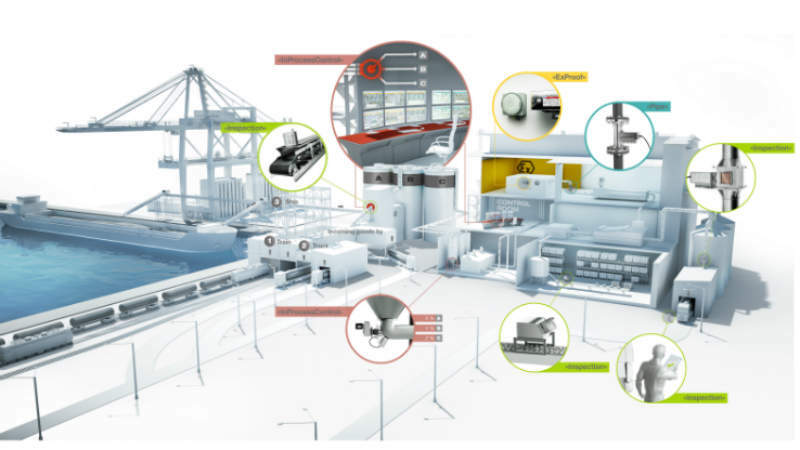 BUCHI supports you in optimising all stages of production, from incoming goods inspection to releasing finished products. BUCHI’s versatile solutions for digestion and steam distillation cover a broad range of applications. 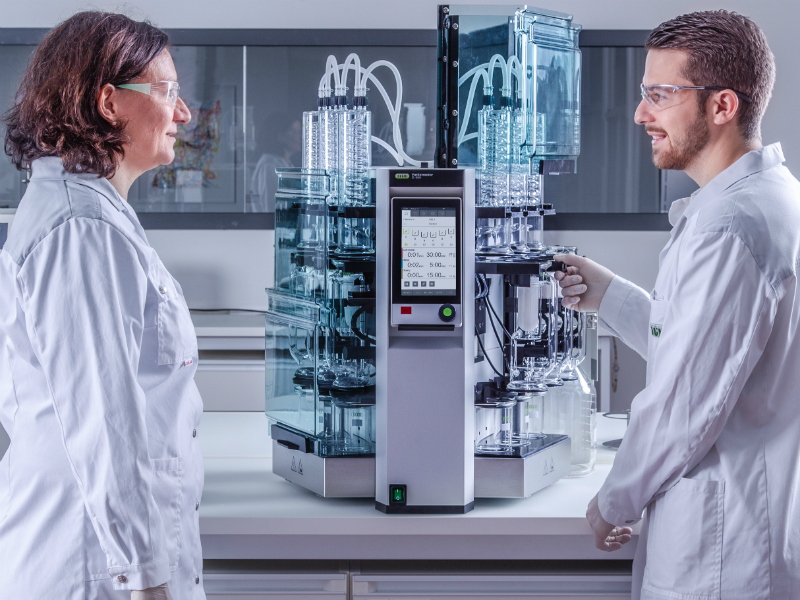 Whether performing classical protein determination according to Kjeldahl, reflux digestion with aqua regia, or direct distillation of steam-volatile compounds, optimised productivity is ensured. Near-infrared (NIR) analysis offers rapid, affordable and precise results, enabling real-time decision making for enhanced quality and higher productivity. 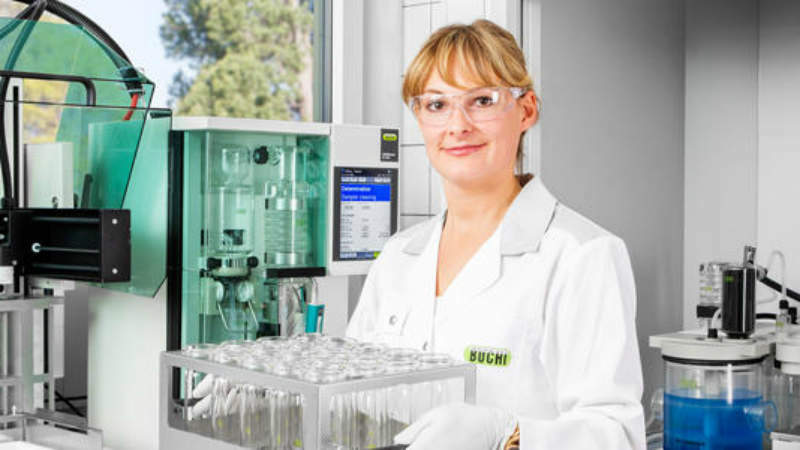 BUCHI offers specialised extraction solutions for classical determination of fat, residue and contaminants in various types of matrices. BUCHI presents its Champion’s Guidebook for food process analysis in process monitoring. The purpose of food, beverage and feed analysis is to maintain and assure specifications, quality and the food safety of the final products. Customers should be satisfied and not harmed at all. 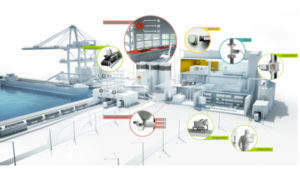 BÜCHI NIR-Online® solutions provide real-time trending of content such as protein, fat and moisture directly in a process stream. In 2010 BUCHI launched the PMMA NIRMaster and the stainless-steel NIRMaster Pro. They are among the most successful near infrared instruments of all time. Wheat flour quality is varied; some types are good to produce fresh bread, while others are specifically used for cakes, biscuits or other bakery products. If the characteristics of the supplied flour are not strictly the same as those required and this fact is not assessed, the entire production could be lost creating large economic damage.